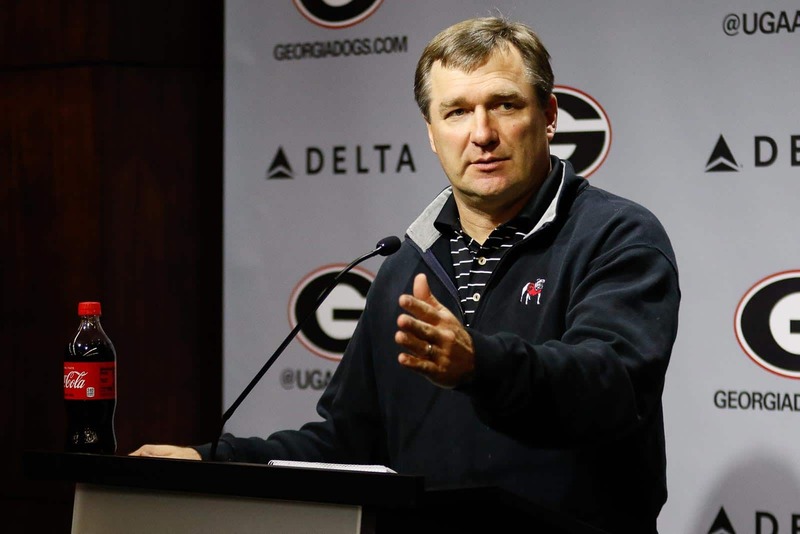 ATHENS, Ga.– To open the 2018 Southeastern Conference Championship Game week, University of Georgia and University of Alabama football head coaches Kirby Smart and Nick Saban addressed the upcoming contest on a teleconference Sunday evening. A championship meeting scheduled since November 3, the fourth-ranked Bulldogs and top-ranked Crimson Tide sealed their fate with respective wins against then-No. 9 Kentucky, 34-17, and then-No. 4 LSU, 29-0, on the road. Three weeks later, Georgia and Alabama check in with the top-two spots in the conference in scoring offense at 40.1 and 49.0 points per game. Both teams are directed by the leading contenders in passing efficiency at quarterback with sophomore Tua Tagovailoa (212.5), junior Jalen Hurts (204.5) and sophomore Jake Fromm (179.4) at the top-3 conference spots. Protecting starters Fromm and Tagovailoa are the Georgia and Alabama offensive lines, both named semifinalists for the Joe Moore Award, presented annually to the nation’s top offensive unit. On the defensive side, Georgia ranks fourth in the SEC in scoring defense (17.2 points/game) with Alabama at second (13.8 points/game). The SEC Championship Game will also feature the top punt returners in the conference: junior Mecole Hardman (21.8 points/game) and freshman Jaylen Waddle (13.6 points/game). The January CFP National Championship Game marked the first meeting between the two teams with Smart and Saban at the helm. Saban hired Smart as an assistant at LSU before a one-year stint with the Miami Dolphins served as the precursor to eight seasons at Alabama together. On Saturday, both Georgia and Alabama defeated its respective in-state rival by at least 20 points before shifting sole focus to the conference title game in Atlanta at Mercedes-Benz Stadium. The SEC Championship game is slated for a 4 p.m. start time on CBS.